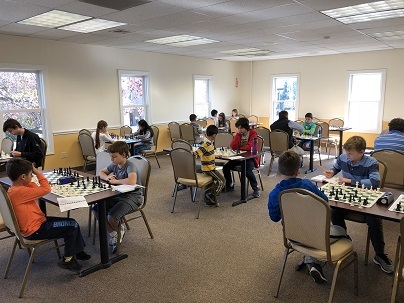 This Saturday’s G/45 Quads hosted 26 players to make up a total of six sections, one of which was a Swiss. In the first section, NM Yoon-Young Kim took home first place, earning a perfect score of 3/3 total points. 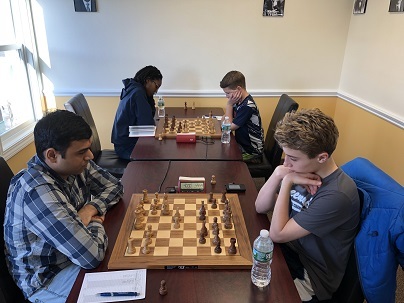 Ravikumar Dahiwala, from the second section, also took home gold, earning a perfect score of 3/3 total points. In the third section, Evan Helman and Nielsen Gordon tied for the top spot, both earning 2.5/3 total points. Maria Gazoni and Laurent Lafosse tied for first place in the fourth section, each earning 2/3 total points. In the fifth section, Erik Nebylovych earned sole first with a perfect score of 3/3 total points. 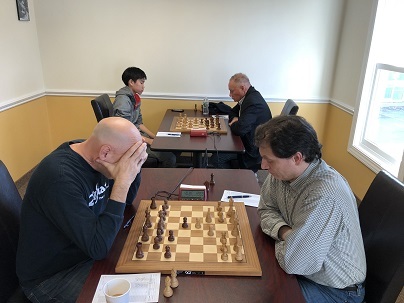 In the sixth and final section, Jason Zhong secured first place with a perfect 3/3 score. Congratulations to all the winners and thank you to all of our participants. We hope to see you all again soon!